Altitude offers over 100 inter-connected trampolines. Test your jumping skills on any number of obstacles, shoot hoops on our basketball lanes, or even launch yourself into Marysville’s largest air bag! If you’re into the team sports, check out our dodgeball court for a fun game of trampoline dodgeball. Next time you’re booking a party or event, think of Altitude Trampoline Park. We offer several exciting party packages. We make a great gift too. Gift certificates are available for purchase. 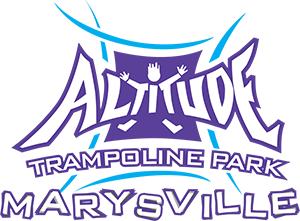 Altitude Trampoline Park can accommodate large groups up to 250.